“What can we do to get younger people involved at our church?” Have you ever heard or asked those words? I hate to break it to you, but if indeed you’ve been searching for new methods to draw people in, you’re probably achieving the opposite effect. I’ll let you in on a dirty little secret. If you want to make sure your kids won’t continue going to church once they get older, there’s a surprisingly easy method to follow. 1.) Tell them church is fun and exciting and relevant. 2.) Dumb it down to reinforce that point. “What in the world is that supposed to mean?” you might be asking. Here’s the thing, folks. We adults tend to think that if we only make church and Sunday School more exciting, more appealing, more “cool,” then maybe more kids or teens will be drawn in. It’s Sister Act theology, really. Use different music and watch them flock in. Play Bible games instead of teaching Bible lessons. Get the latest and most exciting program for Sunday School so they’ll be happy to go. Who cares about the content, really, as long as they’re there and having fun, right? Wrong. Absolutely wrong. What good is it if they’re sitting there having fun but learning very little of substance? Consider the “cool” parent who hangs out with her teens, parties with them, even drinks with them and their underage friends, all in an effort to show that they’re easy to relate to. While that may seem awesome for a while, at some point, their kids will realize something- Mom or Dad can’t be taken seriously. That’s the same thing with faith, my friends. Give kids enough fluff and fun and eventually they’ll come to the same conclusion- this whole faith thing is a joke. It can’t be taken seriously. I urge you to examine your motives when you try to make things fun for kids. Now, to be sure, you have to do things on an age appropriate level. I’m not going to launch into a lengthy discussion with my five-year old on the subject of transubstantiation, for example. But at the same time, I’m not going to water down the Bible lessons so much that it’s laughable. Sunday School doesn’t have to be “God made the world. God made you. Yay, God! Now color a picture of yourself to remind you that God made you.” Even a preschooler can be taught the different days of creation. Give them something of substance or you are giving them a faith they can outgrow. Pastor Jonathan Fisk’s YouTube video, When Relevancy Fails, explores this whole topic in greater depth. He shows clips from St. George’s Anglican Church in Guelph, Ontario, where they tried (brace yourselves) the “Dr. Seuss Eucharist” in an effort to “create an experience for kids.” I’m not joking- the priest dressed up as the Cat in the Hat complete with the red and white striped hat, a floppy red bow, and a tail, all on top of his green stole. Watch the video for yourself if you don’t believe me. The acolytes dressed up as Thing 1 and Thing 2. They rhymed the Words of Institution, saying things like “One bread, two bread. Me bread, you bread.” I wish I was making this up. In response, Pastor Fisk says this: “This is why they’re leaving!… You are giving them a faith that they will outgrow. You are saying that Christianity is childish. It is not serious. It is not a thing of earnestness. It is not something for a 20-year old male to be intellectually connected to.” Indeed. 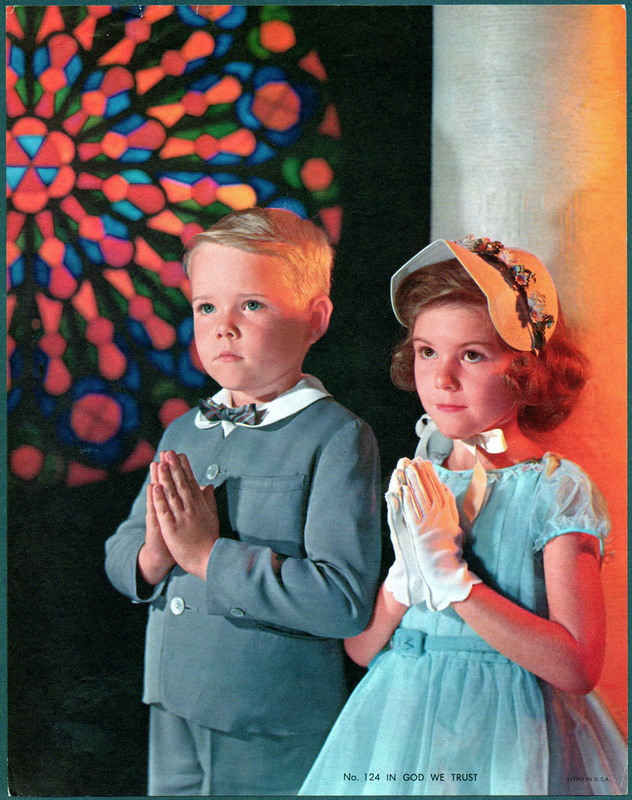 So what should religious instruction look like for kids? Pastor Fisk explains that kids are in “watch and mimic” mode. That’s why they do what you do. If you’re sweeping the kitchen, they’ll grab their little broom and sweep right along with you. If you’re mowing the lawn, they’ll grab their plastic lawn mower and “help” mow. Children’s brains are like sponges- they absorb all the info at a much faster rate than adults. That’s why young kids learn language so much faster than do adults. If you want to raise a bilingual child, teach both languages to them from infancy. It’s the same with the language of faith. Pastor Fisk says that the best way to get kids to learn is to let them mimic what you actually do in worship. “Since they don’t have the vocabulary to express the faith yet, we give them the vocabulary by expressing it to them.” No, they won’t be able to understand everything yet. They won’t be able to vocalize and defend their faith yet. It’s not because we aren’t teaching it right- that’s just how kids develop. So let them mimic you. Say the Lord’s Prayer and the Apostles’ Creed and the Confession and the explanations of the Small Catechism so they can hear and repeat that. Give them the vocabulary to express, and make sure it’s not one they will outgrow, like a childish nursery rhyme. So what happens to the young people who leave the church? In his video, Pastor Fisk shows a scary truth being played out in England even now- people are flocking from Christianity to Islam. What attracts them? Consider the words of a Muslim woman who was interviewed for a news segment in England. She says, “People find their sense of direction in it [Islam]. Because their religion of origin has lost that, not because it didn’t have it in the first instance. They [Christians] sort of became lenient in relation to the laws of the church, and thinking that in this way they would make it more mellow and softer and attract more people into the church, and in fact, they’ve lost people.” Do you see the insight this non-Christian has as to why Christians are chasing people away? Far too often we have sold out to the culture, tried to be more “relevant” in order to attract more people, and the end result is that instead we’ve chased people away. Folks, be wary of the trap to be hip and cool when presenting Bible truths. Remember that we are worshiping the God of the universe. Don’t underscore that amazing fact by trite games and songs and stories. God is a holy God. Isaiah was scared for his life when he was in the presence of God, because he knew that a sinful man could not stand in God’s holy presence. I think too often we lose sight of that fact. We want our kids and teens to know Jesus as their buddy, their pal. We neglect to teach them, however, that He is the Savior of the world, in whose presence every knee will someday bow. If kids are taught only to see Jesus as a buddy, they will most certainly grow out of that faith when reality hits. Who cares if Jesus is a nice guy when calamity strikes? Teach your children the incredible truth that Jesus, true God, came to earth as a helpless infant. He lived a perfect life in our stead. He took the punishment we deserved and suffered and died for us on the cross. Then He rose from the dead three days later, and even as He ascended into heaven to sit at God’s right hand, He promised believers that He would be with them always. Now that’s an exciting story to retell over and over again. The God of the universe is with you. No matter what you face on this earth, Jesus is with you through it. Don’t underestimate kids. They’ll live up or down to your expectations. Set the bar high for a religious maturity that will carry them throughout their earthly life until they reach eternity.